T-Mobile today announced that it will now offer free video calls with its Uncarrier service. Compatible phones at launch include the Samsung Galaxy Note 5 and S6 Edge+. 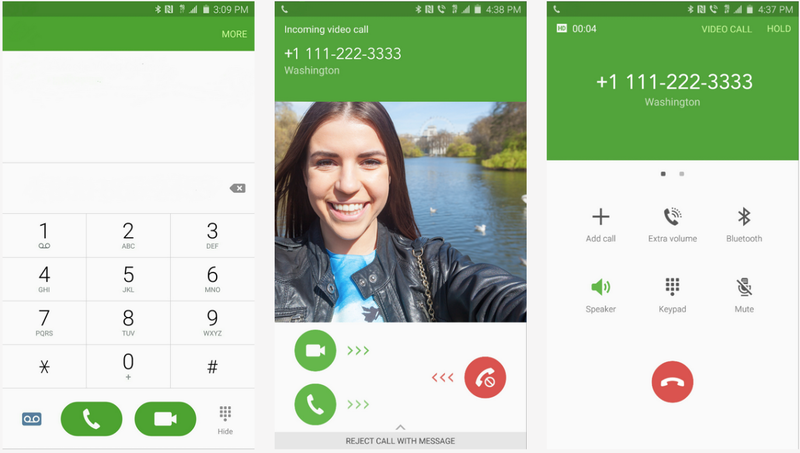 T-Mobile Video Calling is similar to what Google Hangouts offer – select a contact and just simply press the camera icon to make a video call instead of voice. T-Mobile says the HD video service runs on its LTE network, but can switch over to Wi-Fi whenever available or revert to regular voice calls if the connection is too low. By building the service natively on phones, T-Mobile takes on OTT (over-the-top) services like Skype, Hangouts, Facebook Messenger and Apple’s FaceTime. The only caveat? Both parties making the video call must have T-Mobile Video Calling enabled on their phones, which limits the service to just a handful of early adopters at launch. Galaxy S6 and S6 Edge are the next devices to receive this update next week. The company says a total of seven devices will be video call-enabled by the end of the year, but did not specify which.